Budweiser continues to dominate Super Bowl advertising, with its 'Lost Dog" ad named the most shared ad of the 2015 game. The ad, which sees the return of Budweiser's puppy from last year, received 2.2 million shares across Facebook, Twitter and blogs, according data from Unruly compiled today. 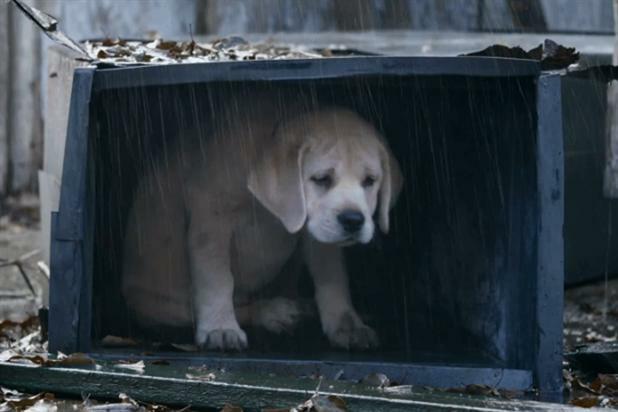 This makes "Lost Dog," created by Anomaly, the fourth most shared Super Bowl ad of all time. The spot, which was released on Jan. 28, had already gained 1.8 million views before the game. This is the third consecutive year that the beer brand has had the most shared ad of the Super Bowl. Movie trailers dominted the most shared list, taking six out of the top 10 slots. Supercell’s Clash of Clans games trailer, starring Liam Neeson, finished third, gaining 404,658 shares. Snickers’ "Brady Bunch" finished fifth (230,375 shares) and the No More’s domestic violence PSA was the ninth most shared (136,119). Just missing out on the top 10 were McDonald’s "Pay With Lovin", Reebok’s "Freak Show: Be More Human", Geico’s "Push It" and Bud Light’s "Real Life Pac-Man," finishing 11th, 12th, 13th and 14th respectively. 2. Universal "Fast And Furious 7"
8. Universal "Pitch Perfect 2"
10. Universal "50 Shades of Grey trailer"